How to successfully launch a viral campaign on the Internet and thus also promote sales. “Succeed. 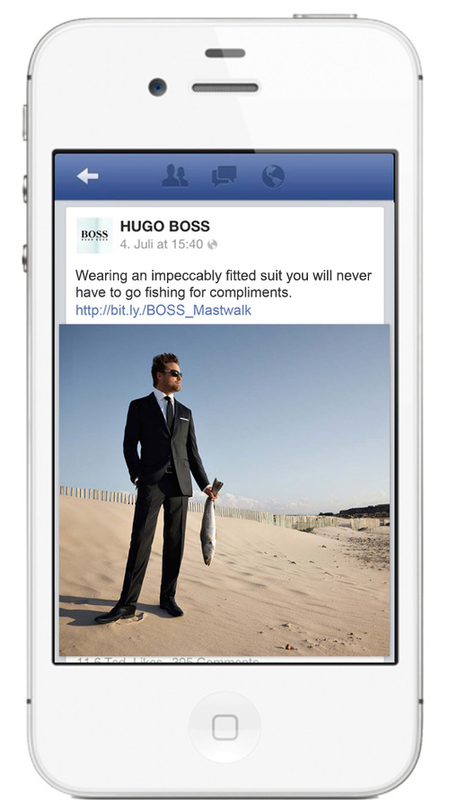 No matter where you are going” is the HUGO BOSS brand philosophy. In keeping with this principle, we had to translate BOSS’s sponsorship of sailing sport into direct, tangible and measurable success. We achieved this with an exciting storytelling campaign and the power of viral momentum. To do this, we used the emotional factor of sport, and created a communication around the daring stunt performed by round the world yachtsman Alex Thomson. Every step was precisely planned, exclusive content was generated for each medium, and nothing was left to chance with regard to timing and the choice of channels. 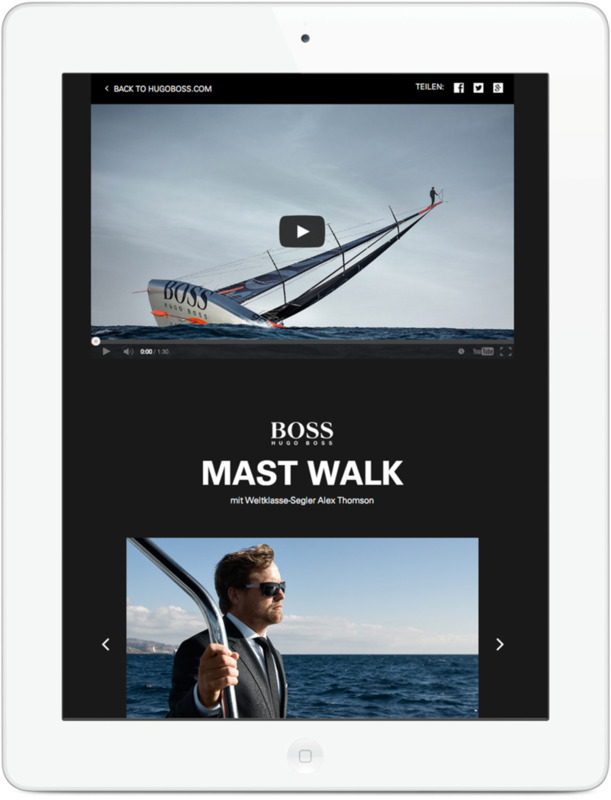 #mastwalk – So as not to be classified as advertising, and to allow the viral power of the film to unfold fully, we launch the “Mast Walk” video not on the HUGO BOSS channels, but on the video and social media platforms of the racing team of the film’s protagonist, Alex Thomson. The hashtag invites bloggers and press to jointly report on the film, and give the campaign a memorable name. In the first two weeks alone, the video had over 1 million views – and it was all done with no media budget. 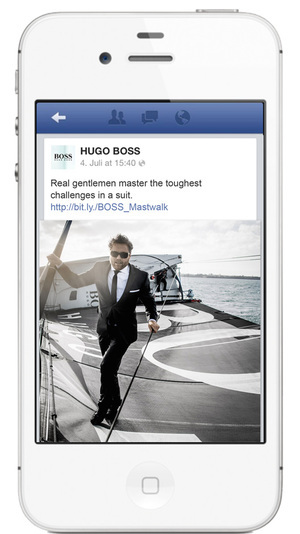 The HUGO BOSS social media channels pick up on the story and call for dialogue with their own insights and background stories to the event. 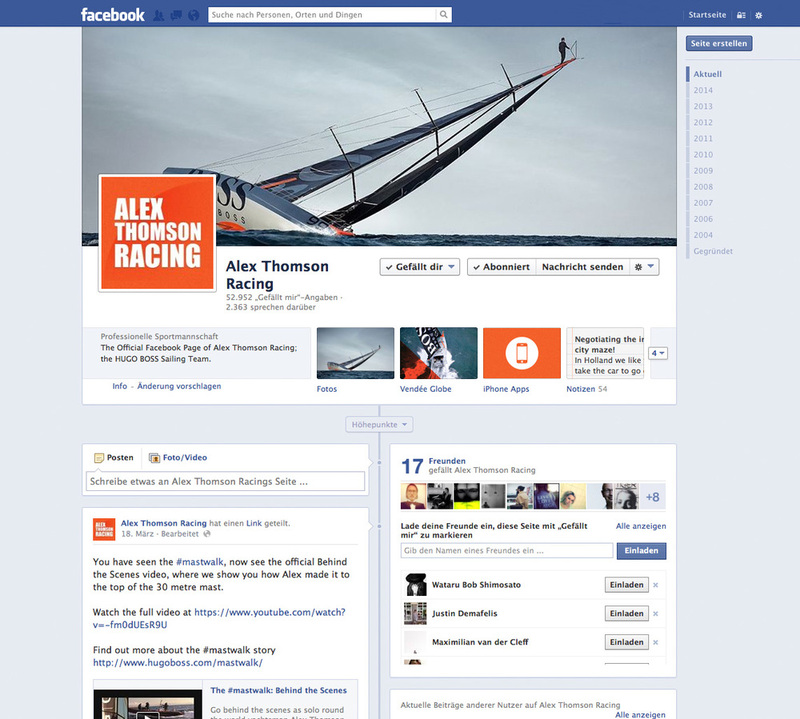 Links are used to continue the campaign. 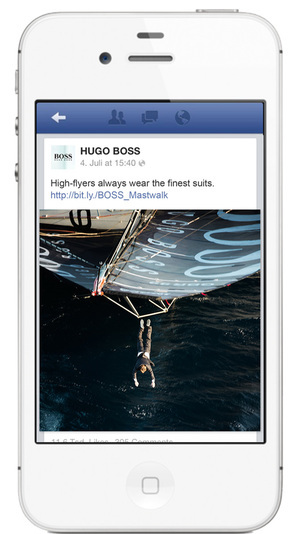 The campaign is given backbone on the brand Web special and editorial HUGO BOSS platforms, and HUGO BOSS’s sports sponsorship takes on a whole new meaning. Performing such an extraordinary stunt in a classic black suit naturally garners even more attention, and steers that attention directly to the brand’s USP: BOSS is famous worldwide for the excellent tailoring of its men’s suits and its high-end accessories. Together with dedicated product detail videos and accompanying information on the brand Web special, this leads directly to increased sales. 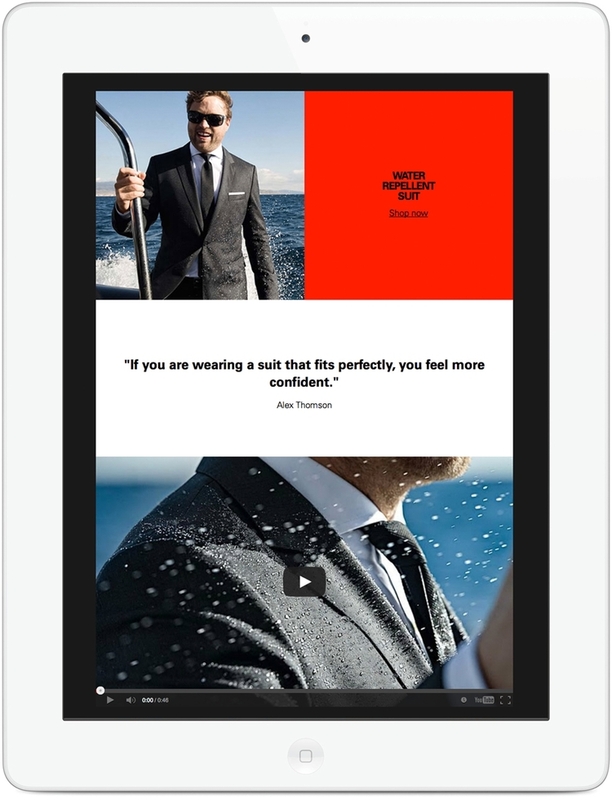 In this way a viral success is turned into a top-selling campaign.